All of our invitations & announcements are customizable with ink colors, font styles, paper selections, envelopes and wording. 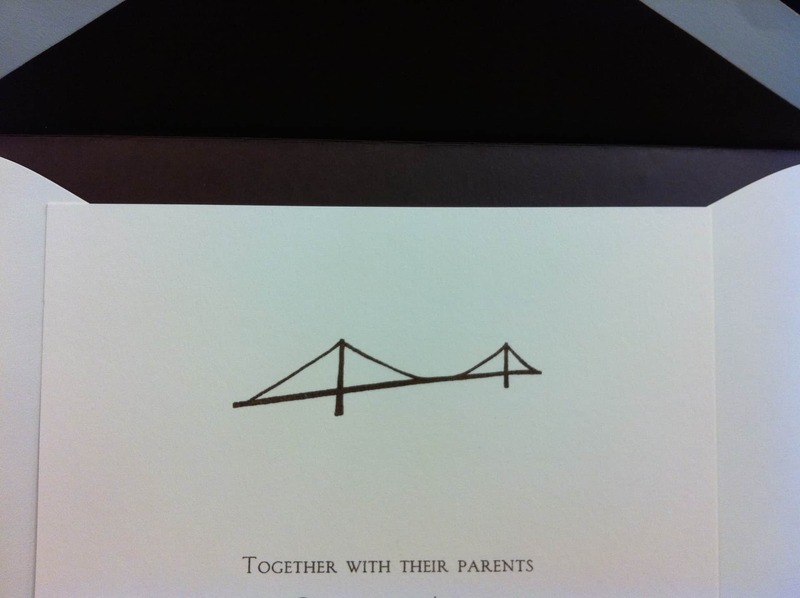 We at Hyegraph can incorporate any motif you choose for your wedding or event theme and/or colors. 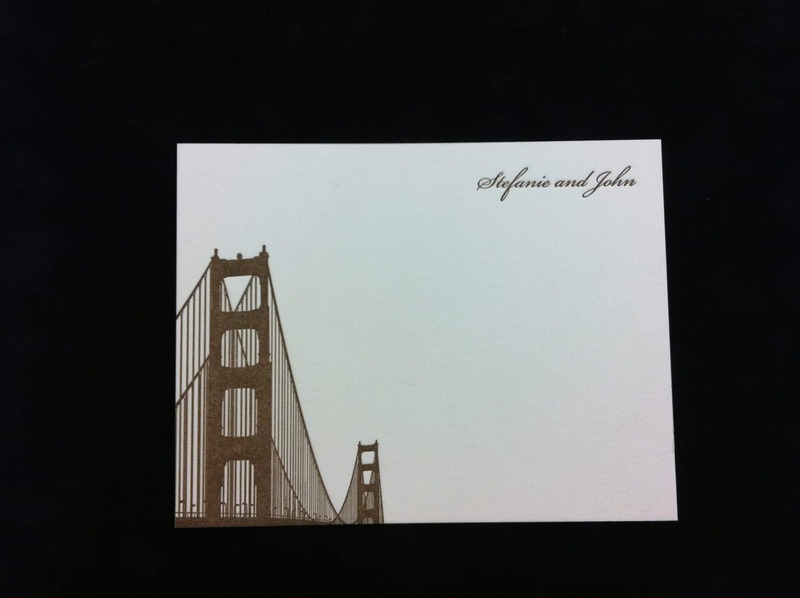 Simply email us your logos, icons or motifs or stop by our San Francisco Store where we can work with you to create a custom San Francisco themed invitation for your event. 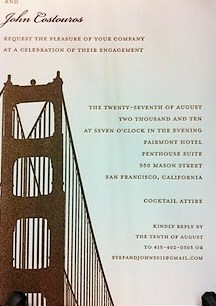 Send out your invitations in style with Hyegraph’s Digital Calligraphy for Envelope Addressing. 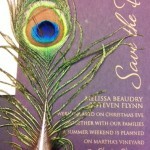 We also have a Stuffing & Mailing Service which will relieve you of assembling, stuffing and mailing out your invitations. 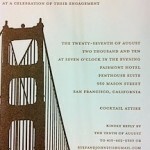 Don’t forget about place cards, menus and programs. There’s no need to look elsewhere for all your printed products for your invitations, we will help you with the design and make the process fun and memorable. Your friends and family will love the end results! 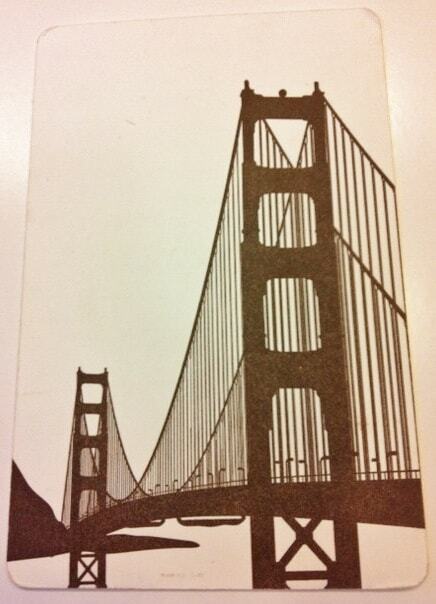 To see more San Francisco themed designs, please see our San Francisco themed Wedding Menus, San Francisco Ballet’s Romeo & Juliet Save the Dates, San Francisco City Hall Save the Dates, Holiday Cards and custom invitations for Embarcadero Center’s Building Lighting Ceremony.